One of the best things about tarot (aside from it’s magical and uncanny ability to know your life better than you know it yourself) is the variety of different spreads you can use to enjoy a reading. Different tarot spreads bring great interest and diversity into your tarot reading because each one will bring a different energy. And since we are talking about the Bird Spread today, you can be sure that this is one empowering spread, that is intended on helping you find your wings so that you can soar through life. Looking for a Live Bird Spread Tarot Reading? 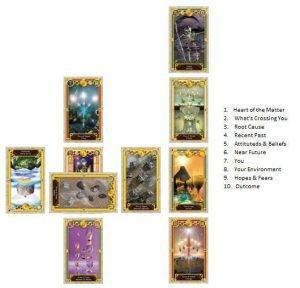 Here’s the lowdown on the bird spread tarot reading. 1 Looking for a Live Bird Spread Tarot Reading? 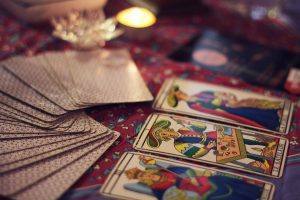 2 What is a Tarot Spread? 3 What is The Bird Spread? 4 Who is The Bird Spread For? 5 What you can expect from the bird spread. 10.1 Want a more Personal LIVE Tarot Reading? 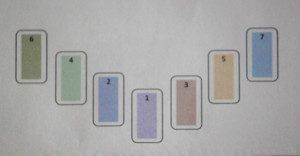 A spread, when related to a tarot reading, means the way that the cards are spread out (or laid out). There are many different ways that a tarot spread can be created and the position of the tarot card within the spread will hold a special meaning which will enhance the details and information that the tarot cards bring. Most spreads don’t include every single tarot card (although it’s probable and entirely possible that there is a spread using all of the cards, although it would be ridiculously complicated to read in great detail). A spread can contain any amount of tarot cards, and you can design your own spread if you wish. All you do is decide the intention of the spread, the number of cards and the meaning of the each and you’ve got your spread. Some popular spreads are timeless and used over and over again; The Celtic Cross Spread is an example of a favourite spread. It’s popular because it’s an excellent spread for checking out the details of somebody’s life at a deep enough level to satisfy the client and without keeping them on the phone for hours on end! The Bird Spread is an example of a lesser known spread, but a powerful one nonetheless. What is The Bird Spread? The bird spread has been given its name because when laid out, it looks just like a bird in flight (you know the sort that an amateur artist might draw in the background of their pictures). But the magic, and beauty of this spread is that its name and layout is a perfect metaphor for the overall theme of this spread. 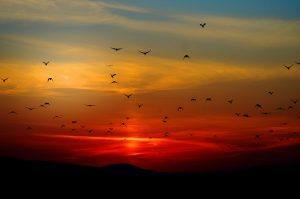 You see, a bird in flight represents movement, freedom, taking flight and the ability to soar to great heights. Which is a perfect metaphor for success and attaining goals in life, especially when it comes to those that represent freedom to us! Who is The Bird Spread For? The bird spread is for anybody who wants to know about how a goal or dream might pan out. The Bird Spread tarot can be used to learn what you need to do to attain success and to find out where you will end up as a result of your journey toward something that you want, desire, or are experiencing. Where you will end up when the energy has passed. What you can do, or shouldn’t do to get to where you need, or want to be. What you can expect from the bird spread. You can expect great things from the bird spread literally! 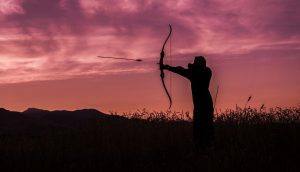 Well, at the very least you will be able to find some direction on how to attain your goals, or how you might get through a specific situation that you may be experiencing and what the outcome may be. It’s important to remember though that even if the outcome is not what you wanted, you have the opportunity to change things, in most cases just by changing your thoughts, habits, beliefs or intentions. Unless something is predestined, in which case you’ll need to ride the storm. Each position in the bird spread tarot has meaning, as does the tarot card. When the tarot card is placed in certain positions in the spread, it tells the story of your circumstances. The bird spread has seven positions and is laid out as per the image here. Shuffle your cards in your hand and think about your life or a specific situation that you’d like to focus on. Make sure that you clear your mind from anything else – this is important because the cards are highly intuitive and will respond to everything! Lay out the cards from the top of the pack in the same way as the image above. You can turn the cards over so that the pictures face upwards. Take note of the meaning of the position of the card to find the context or situation it refers to. And voila, you have your message. Now, you need to translate that message into your life and heed its advice! Read the meaning of the card (use a book like this one ) or the guide that came with your pack of tarot cards. If you’ve already read articles about tarot and tarot spreads you’ll know that everything involved has layers and layers of meaning. The bird spread is no different. While the bird spread tarot can be used at any time, (especially when you need to gain clarity on where you are headed in life) it’s also useful to use as an annual, quarterly or monthly spread. So that you can see what you are uncovering or evolving into and how you can make the most out of your months, quarters or years. Professional tarot readers will tend to have a favourite spread that they use and that suit their reading style and energy. So finding a professional tarot reader who will do the bird spread may be a challenge. But you could always call a reader and ask them if they’d be willing to read the bird spread for you and then book an appointment with them (because if they are not familiar with the spread, they’ll need time to review it and connect with it. Another way to get a bird spread reading is to DIY, you’ll need a pack of tarot cards, and to follow the instructions discussed above. To gain clarity on a situation you might be experiencing today, or to learn how to go about attaining your goals and dreams, check out a professional tarot reader from one of our favourite sites – all are screened and tested before they are allowed to read from these sites! You’ll always be given what you can handle, but you might not feel as though you are ready to hear it (even though if it’s given to you-you will be prepared).